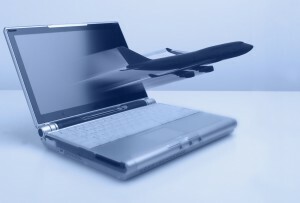 Booking flights online is now the standard - things have come a long way! For the longest time in South Africa, there were airlines and flights to be booked, but only in person, or through an agent. Booking flights through the phone became commonplace, and eventually the Internet brought ecommerce and online flight bookings. Nowadays, the standard method of finding air tickets is on websites, mostly those of the airlines themselves. The second last step in the process is that now you can search flights online on other websites, such as this one, TravelFlight. The difference is that every flight from every airline is listed on one flight search engine. While this may sound confusing, it is actually exactly the opposite. Simply fill in the flight destination and dates and click on “search”, and the flights matching your criteria will be shown. In fact, you can then make slight changes if you do not yet see the required price or route you were looking for. But the final step in the process of booking flights online is that of actually being able to speak to a qualified travel agent. However easy the online flight search is, there are always some questions or challenges for some people. For this reason, TravelFlight offers you world class choice with MilesAway (www.milesaway.co.za), a fully fledged travel agency with superb service and loads of flight and travel experience. The staff at MilesAway hardly have space in their own passports anymore! So there you have it: a flight search that covers every airline in the world, supported by a travel agency that handles all your extra queries. You can go wrong, even if you try! TravelFlight and MilesAway await your flight and travel needs!